Become a Friend of the YV by midnight on Thursday 16 August and you’ll be in with a chance to win a pair of tickets to a sold out-performance of the Tony Award-winning musical Fun Home on Thursday 30 August. Join us for an exclusive pre-show drinks reception with some of our supporters before you enjoy the show. By becoming a Friend you’ll be supporting the Directors Program, our unique training program for emerging directors, and Taking Part, our deep rooted education and engagement program in our local area. We are dedicated to nurturing the next generation of artists and enhancing the lives of our local community. Come join us. Sign up to become a Friend or Good Friend of the Young Vic before midnight on Thursday 16 August and email friends@youngvic.org to confirm your entry. The winner will be selected at random from entrants and contacted on Thursday 23 August. Entrants must become a YV Friend or Good Friend before midnight on Thursday 16 August 2018 to enter. 1 pair of tickets for the Fun Home performance at 19:30 on Thursday 30 August. Win tickets to A Streetcar Named Desire! 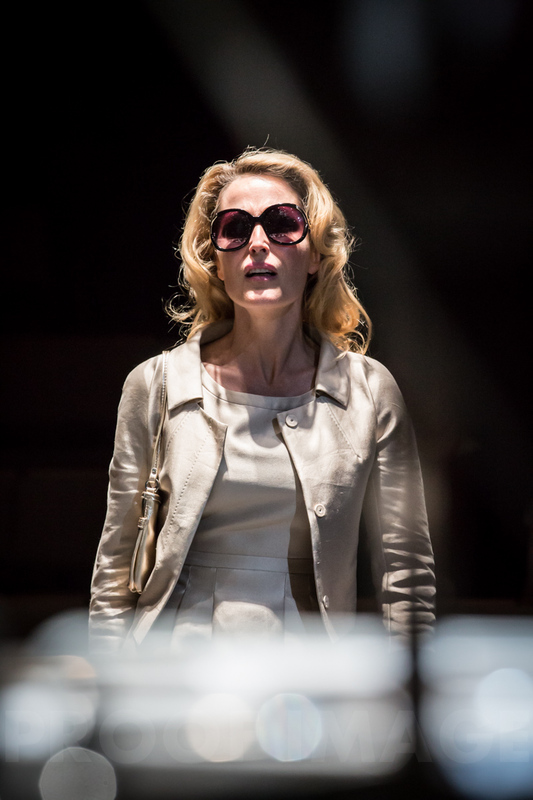 Gillian Anderson as Blanche DuBois. Photo by Johan Persson. It’s competition time! We want your best “I have always depended on the kindness of strangers” à la Blanche DuBois via an Instagram video. Our favourite will win tickets to the NT Live performance of A Streetcar Named Desire here at the Young Vic (being broadcast around the world!) at 7pm on Tuesday 16 September. Follow us on Instagram and use the hashtag #YVStreetcarStrangers when posting your video. You have until 6pm on Mon 1 Sept. The winner will be announced shortly after. Oh and remember, we don’t want realism, we want magic! Good luck! 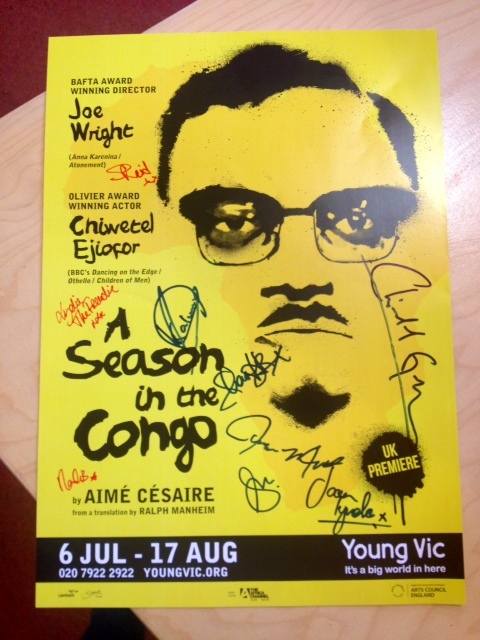 Win a Season in the Congo poster signed by Chiwetel Ejiofor & company! 6 lucky people will win a signed copy of the A Season in the Congo poster! To be entered to win, simply retweet our trailer or like and share the trailer on Facebook. We’ll announce the winners on Weds 7 August! Tickets are still available to A Season in the Congo at youngvic.org. The Young Vic, Time Out and World Stages London are hosting a competition to win a trip to Paris to see The Suit before it comes to London! Winners will receive round-trip Eurostar tickets for two, a two-night stay in the luxurious 4 star Champs Elysees McMahon hotel, and tickets to see the world premiere of The Suit at the celebrated Théâtre des Bouffes du Nord. A new musical adapted and directed by Peter Brook and Marie-Hélène Estienne, The Suit is based on Can Themba’s heartbreakingly beautiful South African story of lust, betrayal and retribution. The competition is free to enter and closes 1 April – enter here now for your chance to win! 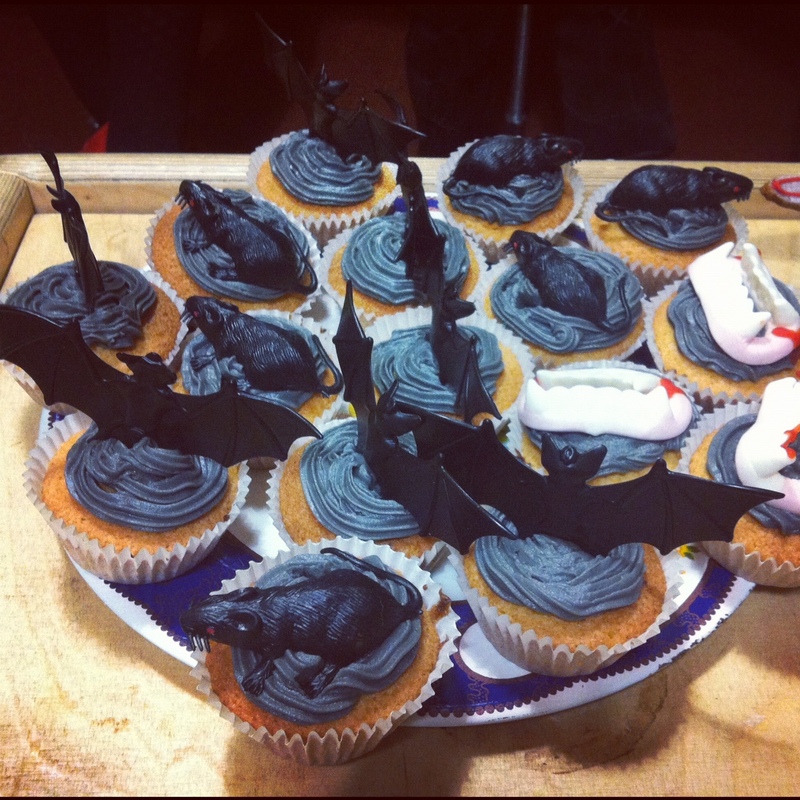 Happy Halloween from all of us at the Young Vic! 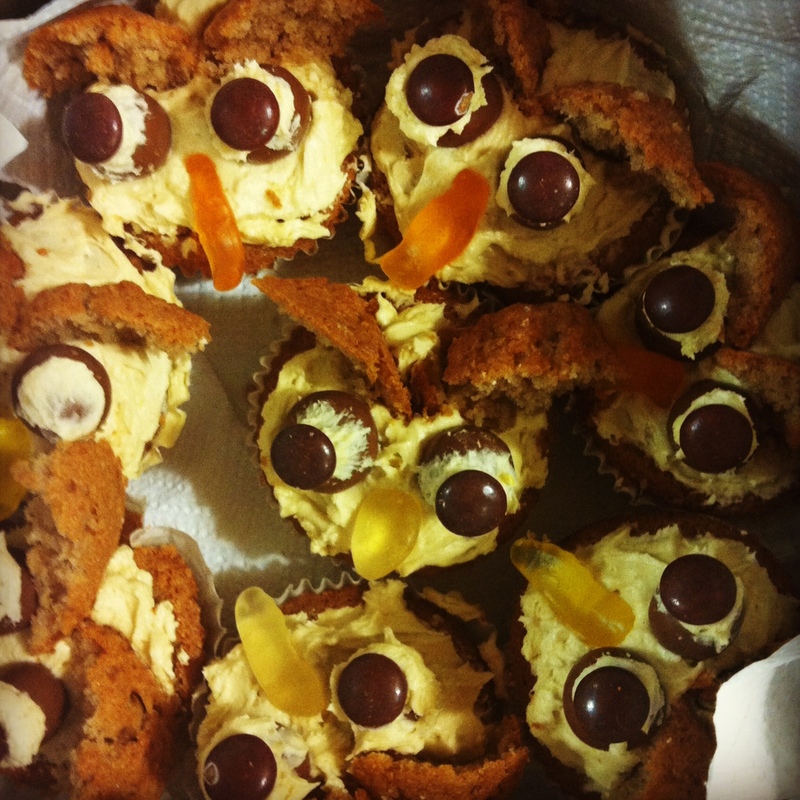 We had a Halloween bake-off yesterday. Results? Well, judged by Ian Rickson (the director of our current production of Hamlet), the winners are…. 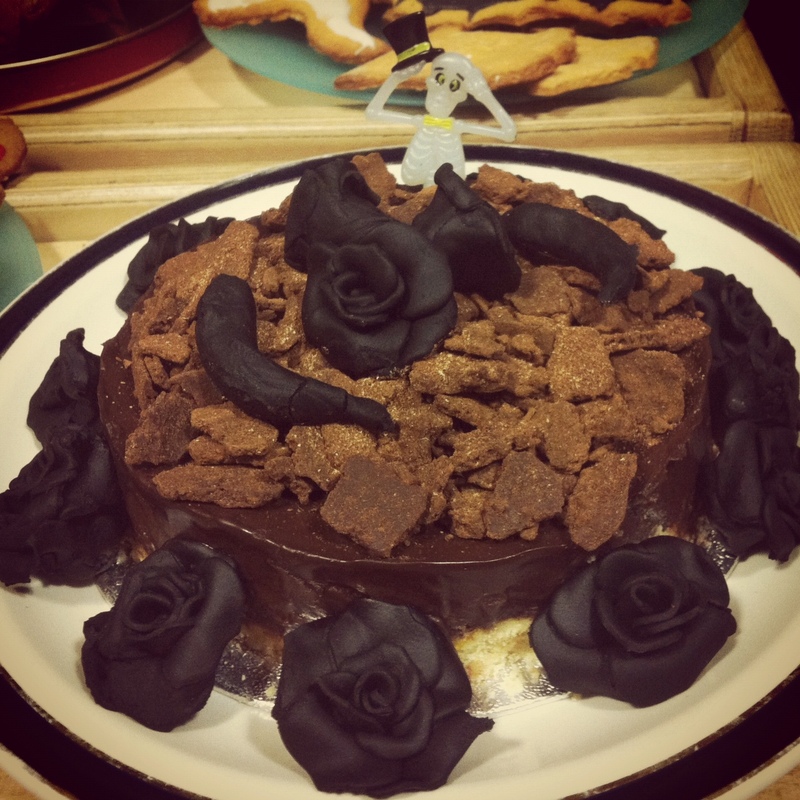 In first place we have Box Office Naomi's black rose cake! Announcing The Great Big Conker Competition! Our Associate Company Fevered Sleep are looking for conkers for their production of Forest. They’ve already collected dozens, but are looking for hundreds more! We have a box by the Box Office dying to be filled. Please give us a hand. Plus! Whoever can find a conker larger than this and send us a photo of it (or drop it off at the box office) before the end of September will win something fun!